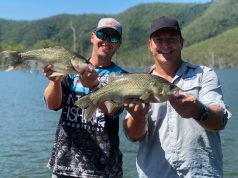 Renegade Fishing Charters have operated in the Whitsundays for more than 30 years. For the past 5 years, the company has been owned and skippered by Luke and Allira Griffiths. 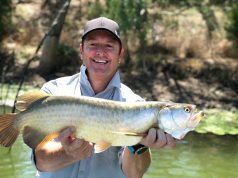 Both are locals, born and bred, and Luke is passionate about all things fishing in the region. He’s President of the local game fishing club and works closely with the Fisheries Department on research projects. Luke’s extensive mapping of the ocean floor gives him the edge when it comes to knowing all the angling hotspots. 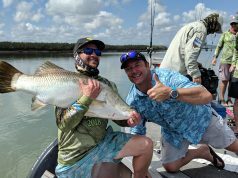 Renegade Fishing Charters off half or full day fishing adventures – which could see you chasing Coral Trout, Nannygai and the ‘king’ of off-shore prizes, Red Emperor. Charters operate out of Airlie Beach or Hamilton Island. When you start super-early to chase fish, then it’s nice to know you’ve got comfortable digs to come home to. Mirage Whitsunday has 2 or 3 bedroom self-contained apartments and 3-bedroom multi-level villas that offer the epitome of luxury with private terraces, plunge pools and gourmet kitchens featuring European appliances. See the website for all the dates and details, including special offers and packages.